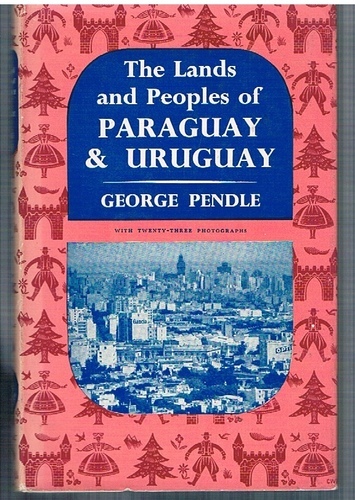 The Lands and Peoples of Paraguay & Uruguay With 23 photographs and a map. Home » Travel » South america » The Lands and Peoples of Paraguay & Uruguay With 23 photographs and a map. A very nice bright copy in original dust-wrapper with very light signs of storage and wear. Clean and tight. Small 8vo., 96pp., 23 b/w photographs, map, apps., index. A little darkening of page-edges. ; Attractive repeat design dust-wrapper uniform with the other titles in the series which series introduces countries and peoples of the world to children. A very nice bright copy in original dust-wrapper. Clean and tight. ; The Lands and Peoples Series.